The Handyguys discuss how to evaluate home improvement ideas and whether finishing your basement is a job for the DIYer. They also discuss a new site for finding and reviewing contractors. There are many projects to do around the house but sometimes the handy guy can bite off more then he (or she) can chew. The Handyguys discuss the basic issues to consider when determining whether a new projected should be contracted out or performed yourself. Do you have the right tools and skills? Even if you have the ability to do the job, there are a lot of issues to consider before doing it yourself. 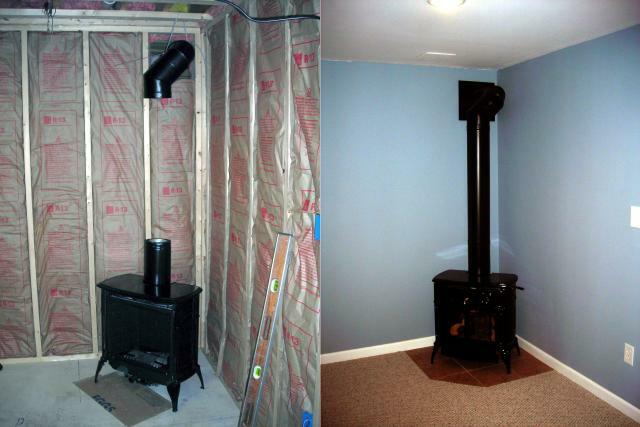 In addition to carpentry skills, you need time, patience, lots of tools and a good back to finish your basement. If you are lacking in any of these categories, you may want to consider hiring a contractor for the job. The Handyguys then discuss an article from remodelingmagazine.com. Its their annual cost vs. value report. Some of the data is excerpted below. Â© 2007 Hanley Wood, LLC. Reproduced by permission. Complete city data from the Remodeling 2007 Cost vs. Value Report can be downloaded for free at costvalue.remodelingmagazine.com. The Handyguys then discuss how to find a good contractor. Turn to your neighbors was Paul’s suggestion. But what if you do not have a neighbor or friend who has had their basement finished? What then?It was agreed that just hitting the yellow pages may not be a good route. You need some good, objective advice. You can get that advice at www.homestars.com. This website is designed to help you review and research contractors that are in your local area. Check it out… it may save you a lot hassle in the future. Check it out! Lastly – So, you are going to go through with it or you have already finished your basement.Â The Handyguys will be continuing to talk about finishing your basement over the next few weeks. If you have finished your basement yourself and would like to chat with the Handyguys on the air about your experience just let us know. If you are in the middle of a project and would like to dialog on the air about where you are in the process we would be open to that as well. email us@handyguyspodcast.com or use the contact tab on the website. Just to let you know — in Massachusetts, you can check out FixR.com, a local source for reviews and info about handymen.